It’s even harder if you’re a golfer from a country with a population of 1.3 billion people. India has only ever had a handful of individuals on the PGA Tour, and has never looked likely to produce a first major winner. That, though, could be about to change. 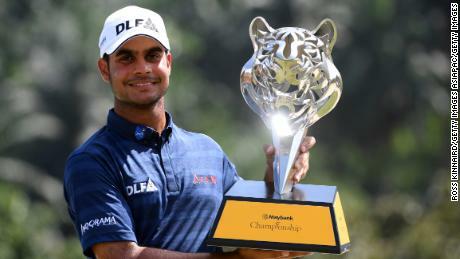 With two wins on the European Tour already this season, Shubhankar Sharma leads a new generation of young Indian golfers with the game’s biggest prizes in their sights. Outside the top 500 as recently as last November, the 21-year-old has triumphed twice in quick succession in recent months, winning both South Africa’s Joburg Open and, more recently, Malaysia’s Maybank Championship.